Fiona Hunter is talking about singing the traditional song What a Voice in the most unlikely venue for folksong, the Hydro in Glasgow. The title song of Hunter’s upcoming concert with fellow singers Kathleen MacInnes and Kaela Rowan at Edinburgh’s Tradfest, What a Voice was given a completely new life when the late Martyn Bennett took a recording by the great Aberdeenshire ballad singer Lizzie Higgins and turned it into the techno wonder Blackbird on his final masterpiece, Grit. Hunter, who in fifteen years with the folk band Malinky has carried traditional songs thousands of miles on extensive tours, never really imagined she would sing such a song to an audience much beyond the average folk concert size. She certainly never imagined singing What a Voice with a ninety-piece orchestra in front of ten thousand people. And as for having a choir of monks (actually singers from Glasgow University) for company while she sang it as a stunt cyclist scaled a mock-up of the Cuillin ridgeline on Skye, surely not. This, though, is just one of the memories Hunter has as a result of taking a call from the violinist and arranger Greg Lawson, who told her he was going to orchestrate Bennett’s brilliantly imaginative electronic adaptations of traditional music. When Lawson told Bennett that he would one day present his music with an orchestra, Bennett’s response had been, “Are ye now?” Hunter’s reaction was more one of intrigue than disbelief but that was for the original performance of Grit, which took place in Glasgow Royal Concert Hall in 2015. Arenas weren’t mentioned, far less the aerial dancers and rowing boats that helped to make Lawson’s triumphant Celtic Connections 2018 adaptation of Bennett’s Bothy Culture at the Hydro such a spectacular event. If that first performance with the Grit Orchestra turned out to be “very exciting and very emotional” (Sheila Stewart’s son, who now lives in South America, was in the audience and Martyn Bennett’s father had come over specially from Canada and came backstage to congratulate everyone), then the Hydro was off the scale. It’s her hope also that people attending the Grit Orchestra’s performances, or even just watching them on TV or on the internet, might be persuaded to investigate the songs and the singers Martyn Bennett incorporated into his music. A project set up to preserve, digitise, catalogue and make available thousands of hours of Gaelic and Scots recordings from the vast collection held by the School of Scottish Studies at the University of Edinburgh, Tobar an Dualchais has been a priceless source, along with the collection of American-born Gaelic song enthusiast Margaret Fay Shaw, for Hunter, MacInness and Rowan as they choose songs for What a Voice. As we speak the three singers are working on harmonies as well as repertoire and preparing to sing a cappella as well as with the What a Voice ‘house band’ which will comprise multi-instrumentalist Mike Vass, pianist Mhairi Hall, double bassist Emma Smith and percussionist James Mackintosh. The concert precedes two more significant events for Hunter, the release of a double album to mark the twentieth anniversary of Malinky and her own second ‘solo’ album. She is keen to point out that she hasn’t been singing with the band for all of those twenty years but keeps being reminded by her colleagues that she joined five years into the band’s career, so is a relatively senior member. Throughout their lifespan Malinky have bucked the trend on the Scottish ‘trad’ scene for largely instrumental music and the new album continues their preference for songs by featuring guest singers including the great Ulsterman Len Graham and Scots singer Barbara Dymock. There’s a sense of unhurried progress about both the Malinky album and Hunter’s own, as it’s four years since Malinky released their previous album, Far Better Days, and five years since Hunter released her solo debut. 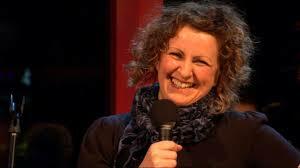 What a Voice is at the Traverse Theatre, Edinburgh on Saturday April 27; Tradfest runs from April 26 to May 6. From The Herald, April 13. These are exciting times for Fergus McCreadie. 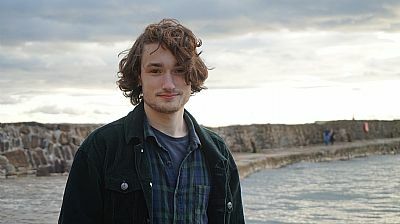 The outstanding young pianist from Dollar in Clackmannanshire has experienced a number of special moments over the past year, from winning the Best Instrumentalist title at the Scottish Jazz Awards last June to appearing in the final, televised on BBC Four, of the BBC Young Jazz Musician 2018 in November to making his debut at the world famous Ronnie Scott’s jazz club in London in January and quickly being assured that his trio will be welcome back. The trio’s two nights at Ronnie Scott’s were probably the most surreal of these experiences as immediately he walked up the steps to the club McCreadie became aware of the history this room holds. Also encouraging was the response McCreadie got from one of the judges of the BBC Young Jazz Musician final in particular. Although he didn’t win – Birmingham-based saxophonist Xhosa Cole took the honours – McCreadie was heartened to be approached backstage afterwards by Monty Alexander, the great Jamaica-born pianist, who had listened closely to McCreadie’s playing. The Scottish aspect of McCreadie’s work has developed naturally. He played the bagpipes – not too successfully, he concedes – in his very early teens and didn’t think too much about Scottish music after he started to concentrate on the piano, being more concerned with Oscar Peterson, Keith Jarrett and Brad Mehldau, among many others in the jazz canon. When he arrived in Glasgow to study on the Royal Conservatoire of Scotland’s jazz course, however, it was impossible to avoid the Scottish traditional music that fellow RCS students were playing in local sessions. He also takes inspiration from the Scottish landscape. Several of the tracks on his debut album, the enthusiastically received Turas, released last Spring, stemmed from visits to, or just being around, specific places. He graduated from the RCS last summer and set out on his full-time professional career by playing with his trio at three major jazz festivals – Glasgow, Edinburgh and Oslo. As well as his own group, he works with drummer Graham Costello’s much-acclaimed STRATA and saxophonist Matt Carmichael’s quartet and takes other gigs as they come up. He’s appeared, on keyboards, for instance, with the Glasgow-based jazz-funk-folk juggernaut Fat-Suit from time to time. The piano, bass and drums format is where he sees his future, though, and his trio has a busy series of gigs during April and May. He has now worked with the musicians in his trio – bassist David Bowden and drummer Stephen Henderson, both of whom were a year or two ahead of him at the RCS – for coming up for four years and they’ve grown together as a unit. As the trio has grown together so has McCreadie’s approach to composition developed. The Fergus McCreadie Trio plays Glenn Miller Café, Stockholm (April 25th), Nefertiti, Gothenburg (26th), Herr Nilsen, Oslo (27th), Jazz Cellar 11, Vilnius (May 2nd), Philly Joe’s, Tallinn (3rd) and BlygeHarry, Stavanger (4th). They then return to the UK for gigs at Catstrand, New Galloway (May 10th ), Perth Theatre (13th), Gilded Balloon Basement, Edinburgh (14th), Ronnie Scott’s, London (17th), West Kilbride Village Hall (24th), Beacon Arts Centre, Greenock (25th), An Tobar, Tobermory (28th), Aros, Portree (29th), and Eden Court, Inverness (30th). In the upstairs room of a bar down a lane just round the corner from Edinburgh’s city centre tram terminus, every second Thursday, musical magic happens. That the venue itself, the Outhouse, should offer a successful location is not so surprising. Here, during the Edinburgh Fringe over the past ten years or so, audiences have experiencing shows by musicians who have flown in from Los Angeles or New Orleans to appear in the intimate loft space. More of a triumph is that Playtime, the Thursday jazz session, has survived and thrived now for five years and shows no sign of losing momentum. If anything, these fortnightly sessions are becoming more popular. Saxophonist Martin Kershaw, who started the session in partnership with guitarist Graeme Stephen, felt that there would be an audience for what they had in mind but it has taken persistence and commitment to ensure that the core Playtime quartet regularly attracts enough people to cover a reasonable band fee. First on the list was the Outhouse, which at the time was owned by veteran jazz pianist Tom Finlay and managed by his daughter, Kim, and was already staging jazz gigs during the Fringe. Kershaw and Stephen had agreed that a core group of four would be the best plan, bringing in a bass player and drummer to create a house quartet. They asked Mario Caribe and Tom Bancroft to join them and as well as the house quartet, they had four composers who, between them, could provide two fifty-minute sets of new music on a regular basis. They also had a host who was happy to get involved in promoting the newly-named Playtime sessions. With four of Scotland’s leading jazz musicians involved, Playtime had built-in quality. It was also susceptible to having its musicians booked elsewhere for gigs that, to be frank, paid better. The range of styles and eras these “Playtime plays …” tributes have included almost covers the entire history of jazz. Duke Ellington, Charlie Parker, Miles Davis, Cannonball Adderley, John Coltrane, Pat Metheny, Bill Frisell, Charles Mingus and more have all been featured. One of the most often-remarked-upon features of Playtime is that the core quartet has so successfully paid homage to jazz pianists without having a pianist in the band. The Bill Evans night remains among the best-received of the Playtime tributes and to celebrate the fifth anniversary of Playtime, Kershaw, Stephen, Caribe and Bancroft will be returning to another triumph by featuring the music of piano master Keith Jarrett in a rare gig away from the Outhouse, at the popular and similarly intimate Jazz at St James series of concerts in Leith. Looking ahead, Kershaw wants to see Playtime building on its success. The session has already won recognition in the shape of the Ginkhana Innovation in Jazz Award at the New Music Scotland awards in February last year and the core musicians are always looking to expand the Playtime audience and playing opportunities. The next Playtime session at the Outhouse in Edinburgh takes place on Thursday, March 21. As his exciting, super-accomplished young band launches its first album, drummer Graham Costello talks about where his music came from an where he hops to take it. 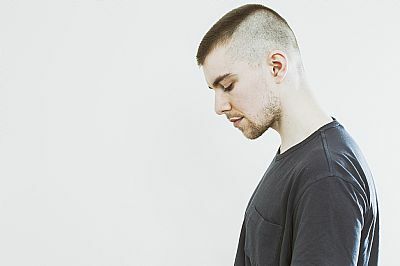 Graham Costello’s STRATA, is among the wave of exciting young jazz acts that has been gathering momentum in Glasgow over the past two or three years. Along with others including pianist Fergus McCreadie, who plays with STRATA as well as leading his own attention-grabbing trio, fellow drummer Stephen Henderson and guitarist Joe Williamson, Costello has been setting a standard of musicianship that has seasoned observers talking about Glasgow as a jazz hotbed of approaching New York proportions. Much of this has to do with the environment created around the jazz course at the Royal Conservatoire of Scotland. Costello is a graduate of the course and by his own admission, a less likely candidate for involvement in jazz education would have been hard to find when he applied to the RCS six years ago. His success might have been down to him surviving a baptism of fire. The pianist who gauged his credentials was Steve Hamilton, who currently tours with Mahavishnu Orchestra drumming legend Billy Cobham. Tommy Smith, the RCS jazz course founder and internationally regarded jazz heavyweight, was on saxophone and the still youthful but experienced Brodie Jarvie was on bass. Unlike his colleagues on the bandstand for that session, Costello was entirely self-schooled. He began playing drums at the age of six when his father acquired a drum kit “of sorts” from a friend at work to keep his younger son occupied and out of trouble. This accounts for Costello possibly being the only musician to have passed through the RCS bearing a tattoo of John Bonham, Led Zeppelin’s virtuosic but ill-starred drummer. At school, with an older brother who plays guitar and bass guitar, Costello fell into bands with mostly pupils two or three years his senior and when the choice of studying music or art was given to him, he chose art. He still works in visual art, creating eye-catching designs and taking commissions. By the time he left school, however, he was thinking more about becoming a musician. He took a course at the Academy of Music and Sound, where he was able to ensconce himself in a room every day and dedicate himself to drumming, and he became involved in Glasgow’s underground music scene, playing in noise rock bands including the duo Young Philadelphia, who toured across Europe. There were gaps in his knowledge, though, and if he was going to become a full-time musician he recognised the value of adding musical theory to the practical experienced he was gaining. At this point, the obvious door, Strathclyde University’s Applied Music course, closed in a restructuring process. So he “took a punt” with the RCS jazz course. STRATA grew out of course work and the EP that followed surprised Costello by getting nominated for the Best Album title in the Scottish Jazz Awards, not least because his ideas for the band, while musically bridging the gaps between jazz, minimalism and rock, went against the trend of jazz practices. A major part of STRATA becoming one of the most talked-about bands on the Glasgow – and wider – scene has been Costello’s insistence that the band play a residency. The owners at Bar Bloc in Bath Street gave him access to their venue once a month, so irrespective of what else is happening gig-wise the band has a gig to work towards. For their debut full CD release, Obelsik, Costello took STRATA to a cottage near Inverary, in the West Highlands, for a week’s intensive rehearsal, a kind of STRATA boot camp where they brought his compositions up to a pitch where they could record in a minimum of takes. Fraser Fifield is untangling the web of lines that has brought together LoLanders, a band that made its debut at Glasgow's Celtic Connections festival in January. The late artist and writer Pete Frame became the go-to guy for rock family trees that traced every connection leading up to the birth - and what came after their lifespan - of bands both famous and not so well known, and his assiduousness would have been useful here. Fifield and his nominal co-leader, the Dutch violist Oene van Geel, have worked together before, as have van Geel and LoLanders guitarist, Graeme Stephen, and Fifield and Stephen have history as a duo and in Fifield’s on-and-off trio with various drummers. Then there’s van Geel’s duo with LoLanders’ bass guitarist Mark Haanstra and other situations that have involved one or other of the above with Glasgow-based tablas player Hardeep Deerhe and Dutch percussionist Udo Demandt. LoLanders is the latest project in the Going Dutch programme that has been bringing musicians from the Netherlands to the UK and Ireland over the past eighteen months or so. The difference here, though, is that, rather than a one-way visit, plans are in hand for LoLanders to play concerts in the Netherlands, including a gig at Amesterdam’s long-established Bimhuis, as well as further UK appearances in the summer. The idea behind LoLanders was that Fifield and Oene van Geel should each invite two musicians they enjoyed working with to create the sextet. Fifield and van Geel first met in 2012 when they were selected for the London-based organisation Serious’s first international Take Five, an initiative aimed at giving composer-performers aged twenty-five to thirty-five with a background in jazz and improvising music the opportunity to take time out to develop their craft, build their careers and get their music out into the world. “We got on really well from the start and understood each other musically,” says Fifield. The fact that their first instruments – Fifield plays bagpipes and saxophone but for some time has majored on the low whistle – aren’t immediately associated with jazz probably helped with the bonding process. Following on from the Take Five retreat van Geel invited Fifield over to Amsterdam to work with his trio Nordanians, a group that marries international influences with jazz and raga approaches, on concerts marking his receipt of the prestigious Boy Edgar award, which over the past fifty years and more has acknowledged musicians who have made a significant contribution to the Dutch music scene. It was shortly after Fifield’s experience with the Nordanians that he put his long-time associate Stephen in touch with Oene van Geel. The guitarist was working on music that featured himself with a string quartet who would have to be fairly elastic in their approach. And it turned out that van Geel had just such a group, Zapp4. For Fifield, it’s the strength of personalities that all of the musicians bring to LoLanders that gives him confidence that this untried combination will produce something interesting. Lolanders play The Lescar, Sheffield on 19 June; Glasgow Jazz Festival on 21 June; Newcastle Going Dutch Day on 23 June; All of the Above, Bath on 24 June; Bimhuis, Amsterdam, 26 June; and In Jazz Festival, Rotterdam 27 June. Kathleen MacInnes brings a new collaboration with the Icelandic string ensemble amiina to Celtic Connections next month knowing that one of its central themes has already worked its magic on a select audience. The Gaelic singer from South Uist with the distinctive smoky tone has been researching the common threads in the Icelandic and Gaelic traditions and has found that the lullabies from her own culture that she sang to her three sons as infants have echoes in Icelandic songs. MacInnes never set out to become a professional singer. Growing up with Gaelic as her first language in the Hebrides in the 1970s, she sang at school and joined in the ceilidhs that were at the centre of the local social life. Her native language proved handy as, when she arrived in Glasgow to take up a job at the BBC, Gaelic television was just beginning to take off and she was chosen for acting roles – she’s appeared in Gaelic soap Machair and comedy shows including Ran Dan and PC Alasdair Stewart - and offered work as a presenter. It was while she was presenting the music programme Tacsi that MacInnes met Donald Shaw, the founder of Gaelic band Capercaillie and Celtic Connections’ artistic director for the past decade, who was the programme’s musical director. Shaw encouraged her to sing and she has gone on to win admirers including film producer Ridley Scott, who described her voice as “beautiful” and chose her to sing in his 2010 film of Robin Hood, and to perform in a variety of musical situations. As well as singing with musicians from the Gaelic world, including the piping brothers Iain and Allan MacDonald, and the Scottish tradition such as singer Fiona Hunter and multi-instrumentalist Mike Vass, she has sung with Transatlantic Sessions stalwarts Aly Bain and Jerry Douglas, bluegrass sweetheart Alison Krauss and banjo virtuoso Bela Fleck. She has also embraced music technology, appearing on Gaelic electro-experimenters Niteworks’ Maraiche, and music from wider cultures, singing with Malian singer Oumou Sangare and kora player Toumani Diabate. Then, at Celtic Connections 2018, she showed another example of her willingness to try something different by joining jazz duo Tommy Smith & Brian Kellock onstage. “That was terrifying and yet at the same time, exhilarating,” she says. “We did an improvised fifteen minutes during their set and I’d only met them for the first time and spent fifteen minutes with them just before the concert.” She’s now looking forward to exploring this musical collaboration further in June in one of two appearances she’s making as part of the Queen’s Hall in Edinburgh’s fortieth anniversary celebrations, the other one being on a folk music concert with John McCusker, Heidi Talbot, Phil Cunningham and others. Her project with amiina came about when she decided to record some of the lullabies and melodies she’d sung to her sons. She spoke to Donald Shaw, who has continued to champion her singing (he it was who suggested she sing with Tommy Smith & Brian Kellock and with Oumou Sangare and Toumani Diabate), about working with Icelandic musicians. Having heard a number of Icelanders whose music she enjoyed, she felt they might help to produce the sound she was after. She’d also felt a connection with Iceland for some time, not unnaturally as the Hebrides and Iceland have links going back centuries. The Norse, or Viking, influence on the Hebrides has been well documented. MacInnes reels off place names such as Stornoway (from the old Norse for steering bay), Laxdale (salmon valley) and Lingashader (a farm or shieling) and says that many Lewis place names can be matched to locations in south-west Iceland around Reykjavik. There’s also research suggesting that Hebridean women were taken to Iceland by Vikings who realised they had a problem when they settled in Iceland in the 9th century – no women. It was the common use of fairies – or huldufolk (elves in Icelandic and Faorese folklore)- in both Gaelic and Icelandic lullabies that particularly intrigued her. When she was singing to her sons she used to think it was just as well as that they hadn’t yet learned Gaelic as a lot of the Gaelic lullabies, as with other cultures across the world, are quite dark. Children frequently get carried off by these fairies and huldufolk. 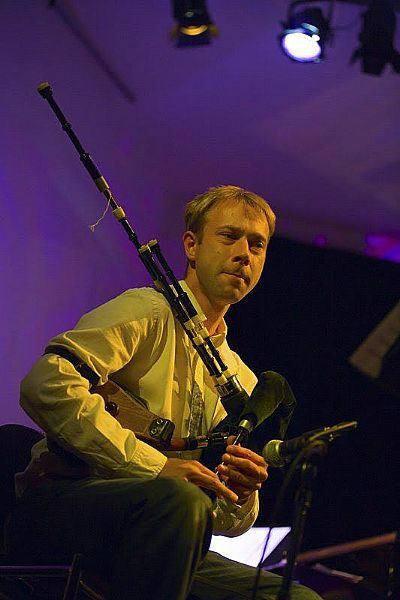 The collaboration with amiina is just one of the shows at Celtic Connections that MacInnes is involved in. 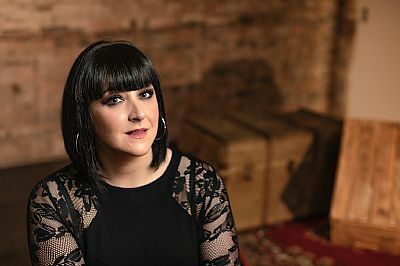 As part of a large cast of traditional singers and musicians, she has been working with former Danny Wilson and current Simple Minds bass guitarist Ged Grimes on a Gaelic soundtrack for the computer game The Bard’s Tale IV: Barrows Deep, which gets its live premiere at Glasgow Royal Concert Hall on January 31. She will also be singing backing vocals for fellow South Uist singer Sineag MacIntyre, who launches her debut album at St Andrew’s in the Square on January 26. In the meantime she’s been enjoying sitting in for BBC Radio Scotland presenter Iain Anderson and readying herself for her project with amiina, in the process no doubt fielding questions about whether she believes in fairies and huldufolk. Kathleen MacInnes and amiina appear at Glasgow Royal Concert Hall on January 19.